Jazz music is alive and well in Toronto. Although we do not have our own, distinct character such as New Orleans or Chicago, I am always amazed at the wide variety of talent and diversity on the Toronto jazz scene. This week saw the start of the annual Beaches Jazz Festival. 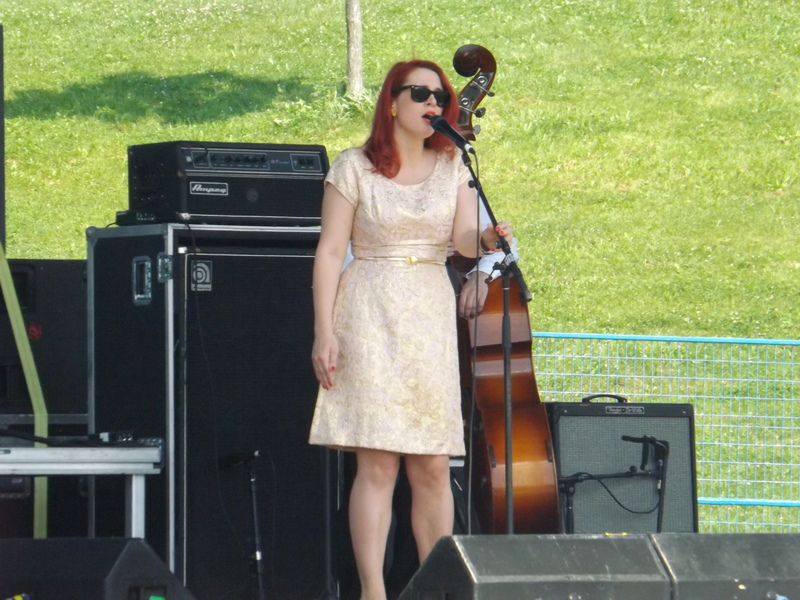 I went down to Woodbine Park last weekend to catch some of the opening acts for the Festival, including Tia Brazda and Eddie Bullen and Friends. Toronto chanteuse Tia Brazda, with her sassy songs and unique voice, whipped up the crowd at the TD Main Stage with her popular song, Cabin Fever. She sings a variety of vintage jazz\blues as well as modern, danceable tunes. 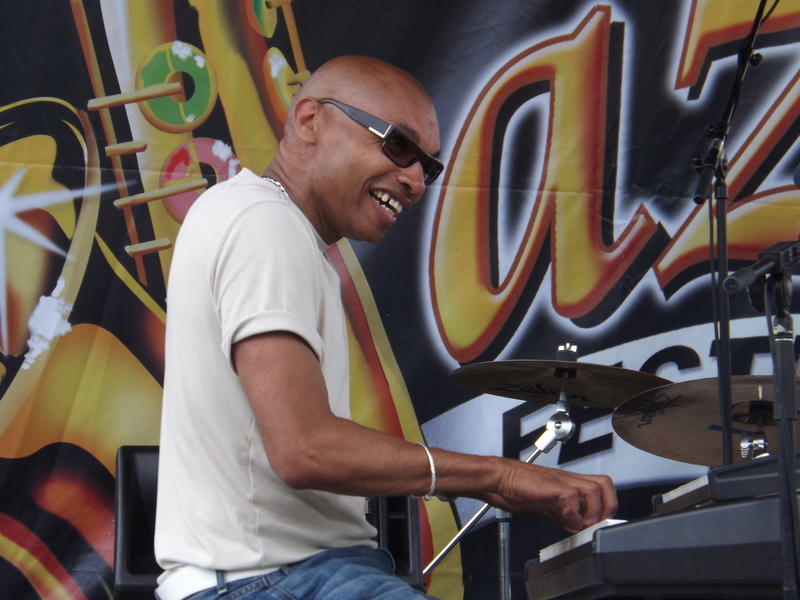 The great Eddie Bullen gave a sterling perfomance at the Trinidad and Tobago stage. He is one of Toronto’s best jazz artists and directors, having produced over 150 Jazz albums. He has also worked with world-renowned jazz artists such as Dee Dee Bridgewater, SWV, Deborah Cox. I was mesmerized by his hit song 416. Listen to this great tune here. This coming weekend Toronto jazz lovers will be back at the Beaches Jazz Festival again, the Streetfest version along Queen Street. Try it.